Brunate spa is an italian shoe factory that produces 500 pairs a day of ladies shoes of high quality. Our headquarters are located in lomazzo, north italy, 20 km from milan and 10 km from como. 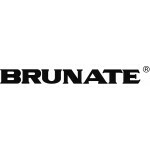 We have a long tradition in the shoe manufacture and since 1926 we produce and distribute successfully shoes with our own trade mark brunate in all europe, where our product is known for: very wearable women‘s shoes, which are soft and flexible, but also elegant and confortable. Shoes for women who do not want conservative confort shoes, but modern and trendy styles. We supply independent selected retailers and department stores in the main countries and cities all around the world as milan, berlin, paris, bruxelles, amsterdam, luxemburg, zuerich, genève, wien, moscow, stockholm, budapest, prague, new york, toronto, tokyo, johannesburgh and sydney. Our shoes are designed and completely manufactured in italy in keeping with the best of traditional italian style and excellence. They are manufactured in our own factory with extreme care and great attention to detail. We use only the best quality leather. We are proud to offer the finest „made in italy“ shoes with great confidence to your current market.